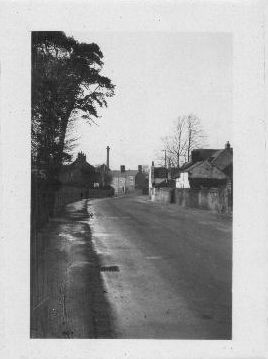 Looking North along Leicester Road towards School Lane (on the right), taken in 1937. The King William the Fourth Pub is the light coloured building on the right. Further beyond it (not visible) is the village hall. The houses in the distance (centre) are next to School Lane.